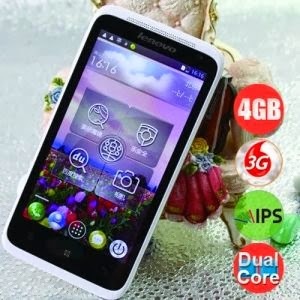 China original smart phone Lenovo S720 features CPU of MTK6577, Cortex A9, 1.0GHz and operating system of Android 4.0. At the same time, Overlarge 4.5 inch IPS capacitive touch screen is outfitted with 960*540 pixels,giving higher definition and convenience while surfing Internet. Dual cameras, in other words, 8.0megapixels for back and 1.3megapixels for front, is convenient for taking clear photos to store wonderful scenes. Multifunction of BT, wireless Wi-Fi, GPS, music player, video player and recorder FM radio, torch, calendar, etc.